Do you have articles you would like to submit for inclusion here? Contact Joyce at above Email address. Submissions as attached Microsoft Word files preferred. Freeman / Astwood Descendants in the Tri-County area. John L. Sexton., historian. Articles on him and his family. Nellie Blackman married first to John A Bailey and with him she had three children, all born in Bradford Co: Harry Clay Bailey, born 20 March 1897 at Hornbrook; Evangeline Bailey, born 24 March 1898 at Springfield; and Eva Bailey, born 4 October 1899 at Springfield. After John died, she married Percy Adelbert Merrill on 15 September 1909, probably in Bradford Co since they had two children born there: Harold L Merrill, born 22 April 1911; and Donald E Merrill, born 23 Mar 1917. Percy died in the late 1910s and Nellie then lived at at Waverly, Tioga Co NY in 1920 with all her children other than Evangeline. Edward Hackett was a Sergeant in the Revolutionary war. He served in Capt. Abiel Pierce's company of Minute Men, of which the following history is on file in the secretary's office at Boston, Mass. The first three companies that entered the revolutionary war were organized at Freetown, and Middleborough, Mass., right under the nose of the British, Col. Gilbert. The organization was called Minute Men, and were to enter the war at a moment's notice, either by day or night and was led by Captain Abiel Pierce and was the first company to enter the Revolutionary war and participated in the battles of Lexington and Concord. Edward Hackett later served in the Ninth Regiment of the Albany Militia. After the war, in 1798, he and his son-in-law Seth Booth were pioneer settlers at Locke, Cayuga county, NY. They cleared land and built cabins and six months later sent to Freetown, Mass., for their families, who traveled with ox teams from Freetown to Locke, which required two weeks. This was the only means of transportation at that period. Edward Hackett received a pension annually of $66.66. He had 13 children. Some remained in Massachusetts, others settled in New York, and five of his children were pioneer settlers in Chatham and Clymer townships, Tioga county. 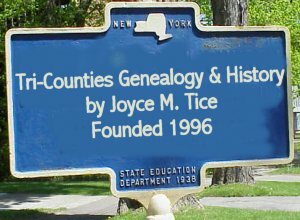 Hundreds of Edward Hackett's descendants reside in Tioga, Bradford, Potter and Lycoming counties. Mrs. George Knapp of Snedekerville, Bradford county, is the secretary and treasurer of the Hackett reunion. War—Isaiah Cole an Early Tioga County Settler. Aaron Cole, Capt. Martin’s Co.; 4th Battalion; Abram Cole, Spencer’s Regiment, Continental Army; Abram Cole, 3rd Regt., Continental Army; Andrew Cole, 2nd Battalion, Continental; Benjamin Cole, Lamb’s Artillery, 2nd Regt., Continental Army; Henry Cole, 1st Batt. Second Establishment; John Cole, Spencer’s Regt., Cont. Army; Richard Cole, 3rd Batt., Cont. Army; Isaiah Cole, Captain, 2nd Regt., Sussex; Daniel Cole, sergeant artillery, Continental Army; Aaron Cole, Essex, Artillery, Cont. Army. Enlistments in Continental Army – Abram, Joseph, Daniel, Henry, James, John, Morris Cole, of Essex, N.J.; Samuel of Bergen County, N.J.; Samuel of Sussex County, N.J.; William, First Regiment, died March 15, 1778, while a prisoner. 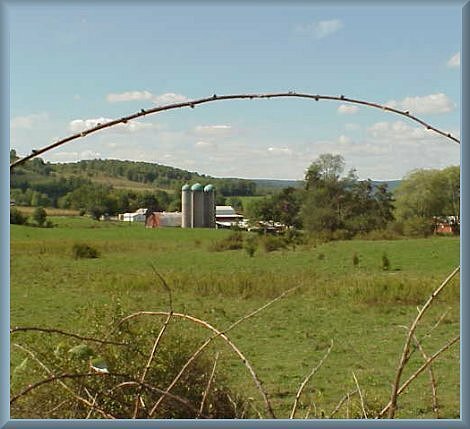 See J. Kelsey Jones Family Histories for Wells, Columbia, Jackson, Rutland, and South Creek Townships in PA and Town of Southport in NY.